1. 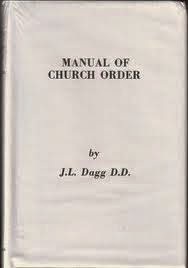 John L. Dagg, Manual of Church Order (The Southern Baptist Publication Society, 1858; Gano Books, 1990). This is the companion volume to Dagg’s Manual of Theology (1857). It provides a classic defense of believers’ baptism by immersion (pp. 13-73). Special focus is given to the linguistic argument regarding the verb baptizo with references to its uses in ancient Greek. 2. Fred Malone, A String of Pearls Unstrung (Founders Press, 1998). This booklet, originally written in 1977, describes the author's transition from being a Presbyterian to being a Baptist. It can be read online here. For a fuller treatment on the subject of baptism you can also read his book The Baptism of Disciples Alone: A covenantal argument for credobaptism versus paedobaptism (Founders Press, 2003). 3. Samuel E. Waldron, Biblical Baptism: A Reformed Defense of Believers’ Baptism (Truth for Eternity Ministries, 1998). 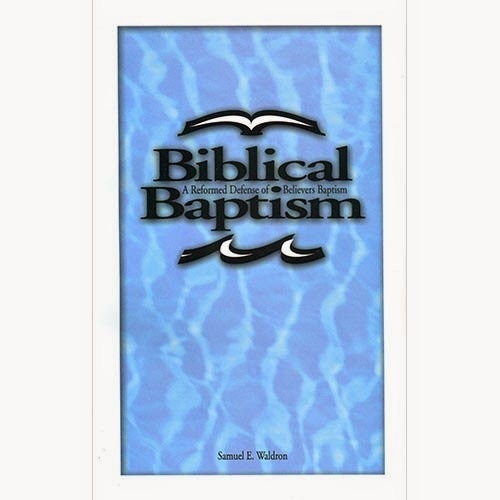 This 80 page booklet from a leading contemporary Reformed Baptist systematic theologian provides a careful exegetical, theological, and practical discussion of baptism. 4. 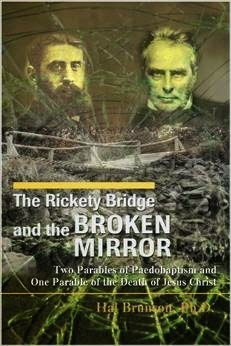 Hal Brunson, The Rickety Bridge and the Broken Mirror: Two Parables of Paedobaptism and One Parable of the Death of Christ (iUniverse, 2007). This self-published book from a former Southern Baptist who considered becoming a Presbyterian but who eventually became a confessional Baptist offers a creative take on the topic by imagining a discussion between the Presbyterian B. B. Warfield, the dispensationalist J. N. Darby, and the confessional Baptist C. H. Spurgeon. 5. 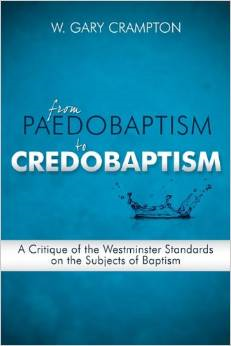 W. Gary Crampton, From Paedobaptism to Credobaptism: A Critique of the Westminster Standards on the Subjects of Baptism (Reformed Baptist Academic Press, 2010). A pastor and scholar describes his transition from the Presbyterian to the confessional Baptist position through a study of the Westminster Standards. For my written review of this book look here (for the same review in audio look here).